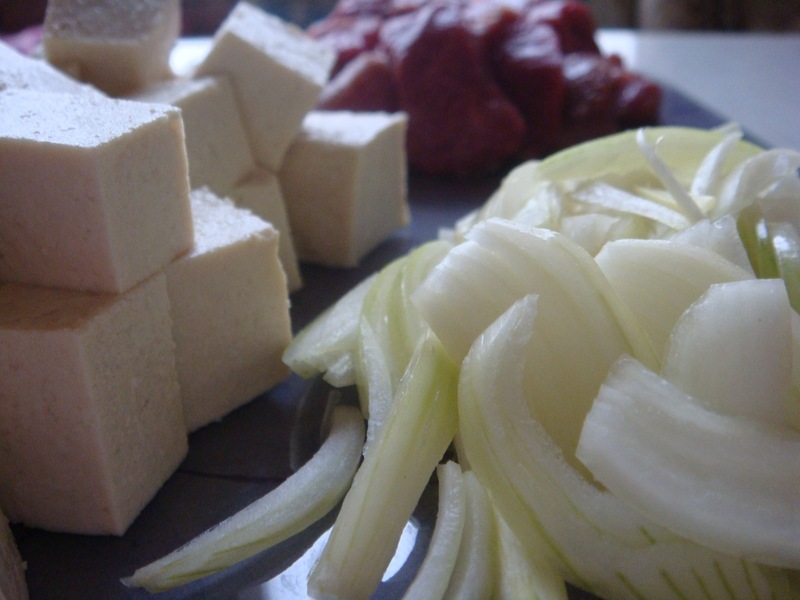 Soondubu Jjigae 순두부찌개 is a spicy Korean soft tofu stew. 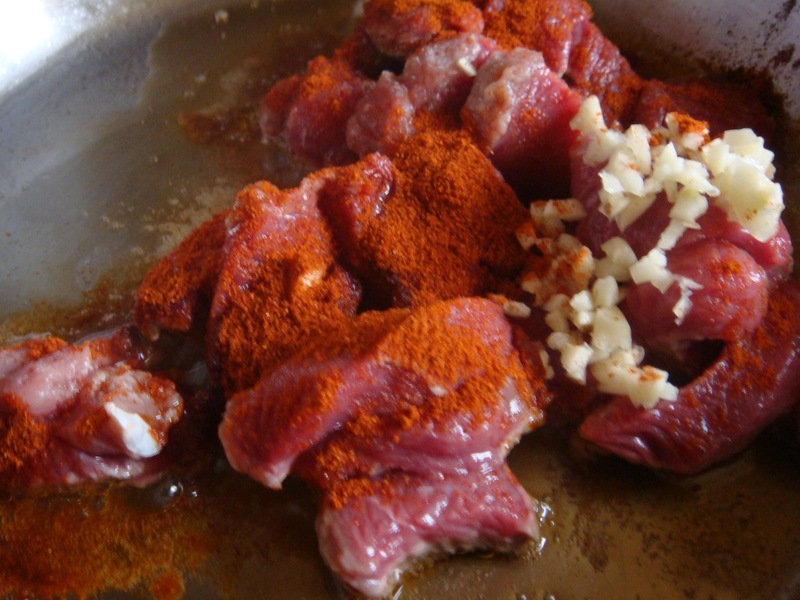 There are numerous variations of this dish consisting of seafood, beef, pork and vegetables such as zucchini, mushrooms, carrots and paprika. 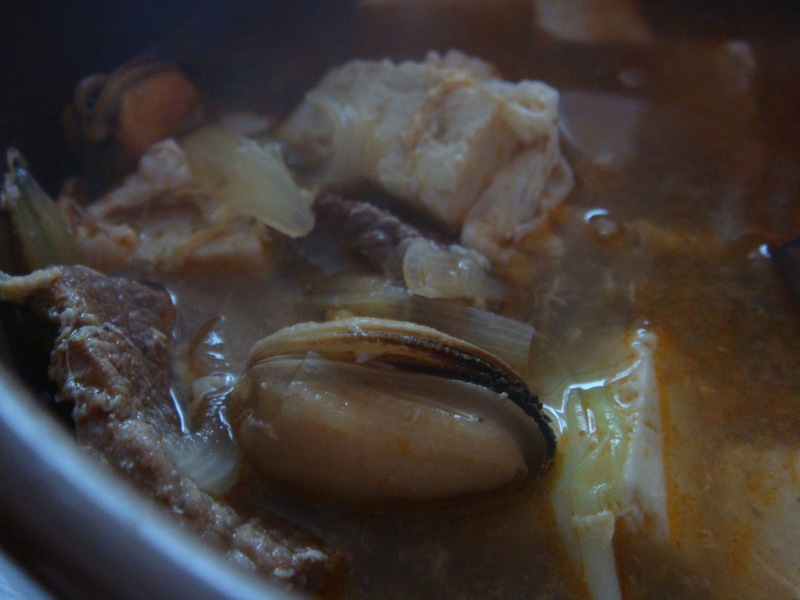 Soondubu Jjigae can be adjusted for very different spice levels – light, medium and hot. The one I made is the medium one. 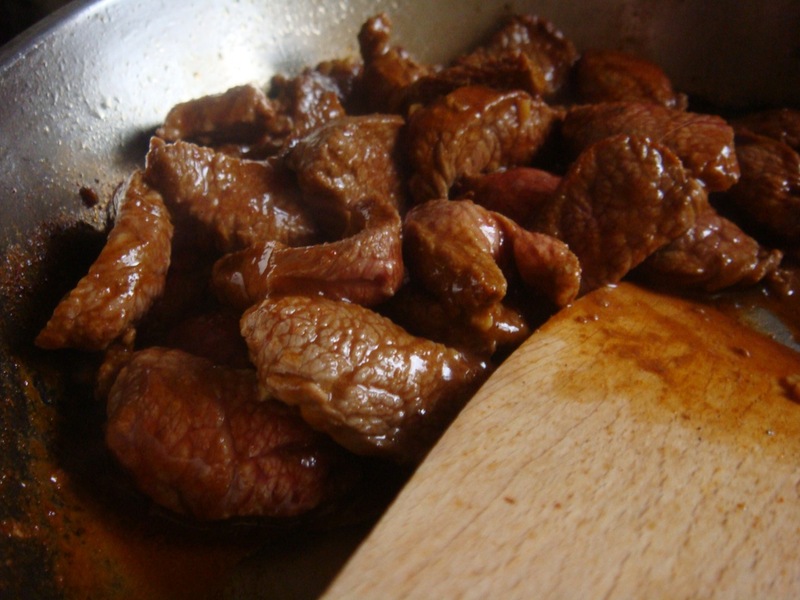 Put sesame oil into a soup pot and stir fry the beef and garlic for about 5 minutes. Add the beef stock and soy sauce. Bring to a boil. Add soft tofu and bring to a boil again. Add the clams and boil until the meat is cooked. It should take about 7 minutes. 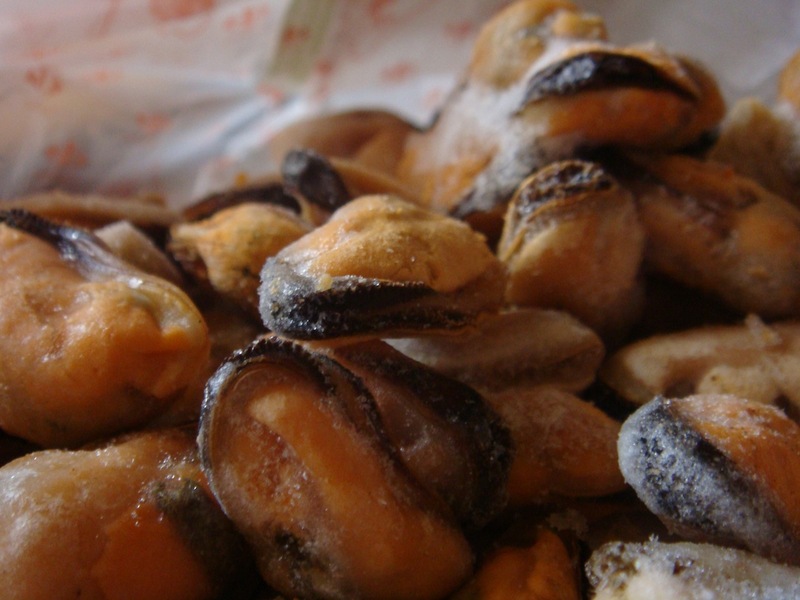 If you’re using fresh clams, wait until the shells open. Add scallions and turn off the heat. Soondubu Jjigae is the perfect soup for a cold day.